I have known for some time that ‘Ferreira’ (a rather common surname in Portugal) means more or less the same thing as ‘Smith’ (Ferreira derives from the Latin word for Iron). But I’ve often wondered whether other countries have similarly common surnames relating to occupations. Yesterday, through the power of the interwebs, I came across this blog post which answers this very question, though it seems variations on ‘Miller’ may be as common as those relating to ‘Smith’. Here is the map of the most frequent occupational surnames in European countries and the corresponding trades. I made it with Cartopy, Shapely, and Natural Earth data. The surnames are taken mainly from the appropriate Wikipedia page. Redditors provided data for Sweden, Norway, Lithuania, Latvia, Bulgaria, Macedonia, Serbia, Montenegro, Bosnia and Herzegovina, Turkey, and Catalonia (Ferrer = Smith), as well as corrected my mistakes in Ukraine and Austria. I sincerely appreciate their help. Click on the links to see relevant comments. Not a lot of people know that today, 29th September 2018, is exactly one hundred years since the first ever performance of The Planets by Gustav Holst which took place at the Queen’s Hall in London. As it happens, although I’ve heard countless performances of this work on the radio and on record, I had never heard it live – until last night at the National Concert Hall in Dublin. From its arresting opening with the strings beating out quintuple time col legno battuto on Mars, The Bringer of War to the wordless singing at the end of Neptune, The Mystic the RTÉ National Symphony Orchestra, conducted by José Serebrier (and at the end, and in the wings, the ladies voices of the RTÉ Philharmonic Choir) gave a very good account of this enduringly popular work. The centrepiece of this suite of seven movements is Jupiter, the Bringer of Jollity which consists of an intro and and outro either side of the famous ‘big tune’ (“Thaxted”) often sung as the hymn I Vow To Thee My Country. The string playing at that section was exceptional, with a lovely rich texture and a very well chosen stately tempo. The only disappointment of this performance for me was the ending. The voices off are supposed to fade away gently until they are inaudible, but last night they cut off abruptly, rather ruining the intended effect. This didn’t stop the audience giving the Orchestra a standing ovation, however, so obviously not everyone was bothered by the ending. For the record I’ll just mention that the first half of the concert consisted of two shorter works. The opening piece was one of Leopold Stokowski’s rather unnecessary orchestral arrangements of music by Bach, in this case the famous Toccata & Fugue in D Minor. I spent the entire performance looking at the NCH’s fine concert organ and wishing the original was being played on that. Still, at least the Stokowski arrangement didn’t have a harpsichord in it. The other first-half piece was far more interesting (to me), the world premiere of a piece by the conductor José Serebrier called Symphonic B A C H Variations for Piano and Orchestra. This is like a piano concerto in four movements each based a little riff made the four notes B A C and H (in German musical notation, B is B flat and H is B Natural – don’t ask me why). It’s an intriguing piece, which I hope I get to hear again, and was very well played by young Alexandre Kantorow. This week the deadline passed for nominations of candidates for the post of President of Ireland (Uachtarán na hÉireann). The rather peculiar nomination process has left voters with a choice of six, including the incumbent Michael D Higgins. As a relative newcomer to Ireland, even I know that the post of President doesn’t have any real power associated with it and is largely ceremonial. Surprisingly, some of the people who put themselves forward didn’t seem to understand that but, fortunately, some of the more obvious fruitcakes who put themselves forward failed to get nominated. On the other hand, three of the candidates are businessmen best known for having appeared on the Irish version of the TV show Dragon’s Den. There’s ample evidence that the products of reality TV shows do not make good presidents. The election takes place precisely four weeks from now, on Friday 26th October 2018, and the term of the presidency is 7 years – the last such election took place in 2011. Obviously Michael D Higgins is a strong favourite. I think he’s carried out his duties in a very dignified and diligent way for seven years, so he will probably get my vote. Candidates 2, 3 and 6 are the Dragon’s Den people. Joan Freeman is a journalist by trade (and an Independent member of the Seanad Éireann) and Liadh Ni Riada is the official candidate of Sinn Féin. Neither of the two biggest parties in the Dáil Éireann, Fine Gael and Fianna Fianna Fáil, nominated a candidate, preferring to back the incumbent. It seems likely that Michael D. Higgins will win and serve another seven years, but it’s hard to be confident about anything in politics these days so we’ll just have to wait and see.. In fact the `Phase Walk Analysis’ developed here is based on an original idea I had for an undergraduate summer research project when I was at Nottingham University and have mentioned before on this blog. 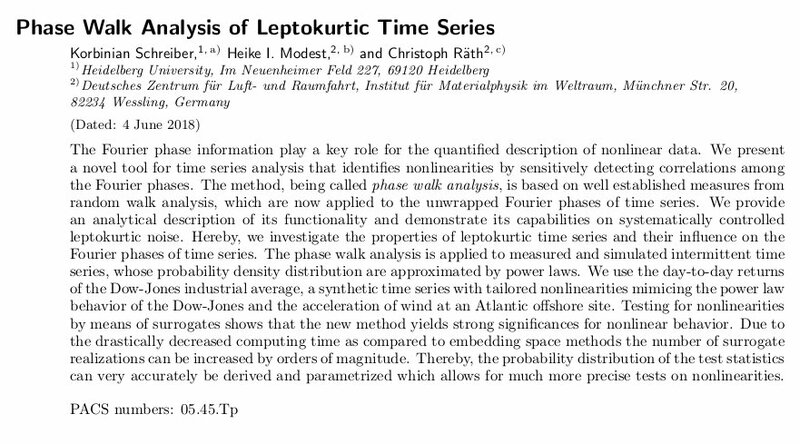 The student who did the project with me was Andrew Stannard (who is now at King’s College, London) and the work led to a paper that was published in a refereed journal in 2005 and has now been cited 21 times by various authors including the Planck Team. Although Andrew is now working in a completely different area (Condensed Matter Physics), I like to think this taste of research was of at least some assistance in developing his career. 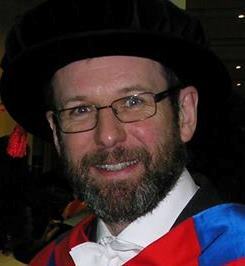 Above all, though, it relates to something I read in the Times Higher by astronomer, Nobel Prize winner, and Vice-Chancellor of the Australian National University, namely that the idea that many politicians seem to have of separating teaching from research in universities is at best misguided and at worst threatens the very idea of a university. Today has seen the last day’s play of the 2018 County Championship season, yet another sign that summer is over. This has happened very late this year. Indeed I wonder if this is the latest end to a County Championship season ever? Had the last round of matches started before the start of teaching term, I might have gone back to Cardiff for at least some of Glamorgan’s last match but the timing made that impossible. Glamorgan actually won their last game of the season, yesterday, beating Leicestershire by 132 runs. That was a fairly comfortable victory, but Glamorgan made hard work of it given that Leicestershire were 102 for 8 in their second and managed to reach 270 all out. That was Glamorgan’s second win of the season, the first being their first match of the season, against Gloucestershire. In between these two they’ve endured a wretched season of 10 defeats – including several absolute thrashings – and two draws. It’s true that Glamorgan been unlucky, with injuries to key players, and others being called up for international duty, but it’s worrying that the others just haven’t been good enough to compete. Some young players haven’t come on at all, others seem to have gone backwards, and one (Aneurin Donald) left the club in mid-season. It’s hard not to point the finger and the coaches for this. I hope Glamorgan have a better season next year. I won’t be renewing my membership, though, as I’ll be spending nearly all my time here in Ireland. Their final result notwithstanding, Glamorgan are rooted firmly to the bottom of Division Two. The top two teams, promoted to Division One next year are Warwickshire and Kent. Relegated from Division One are Worcestershire and Lancashire. The latter finished level on points with Nottinghamshire, but were relegated because they had won fewer games. Lancashire won their last game, but failed to get enough bonus points in their first innings, collapsing from 273 for 7 to 273 all out. Had they made 300 they would have stayed up. C’est la vie. The last game of the season to finish was a topsy-turvy affair featuring Surrey versus Essex, the end of which I followed this afternoon on a cricinfo tab while doing other stuff. Surrey had already been confirmed as champions before this last round of matches, and perhaps they were still hung over when they were dismissed for 67 in their first innings on Monday. Essex then declared on 477 for 8, looking set for a comprehensive victory. But Surrey showed their mettle and reached 541 in their second innings, but Essex still needed only 132 to win. In an exciting finish, they slumped to 124 for 9, but managed to win by one wicket. It seems apt to mark the end of the County Championship with one of the classic cricket poems, Close of Play by Thomas Moult. Hails willows once again the crowned king? Half the game’s magic in their very looks! O do not doubt the game will hold us still! Some good news was waiting for me when I got back to the office after my lecture just now, namely that Astronomy in Ireland will shortly receive an enormous boost, as the Republic has joined the European Southern Observatory (ESO). For those of you not in the know, ESO is an intergovernmental astronomy organisation and is the world’s most productive astronomical observatory. Founded in 1962, its headquarters are in Garching (near Munich, Germany), and it currently has 15 member states. On October 1st, Ireland will become the 16th. Its main work is conducted using a variety of large optical and radio telescopes which are all located in the southern hemisphere, notably at Paranal in Chile. ESO’s VLT telescopes at Paranal (in the Andes Mountains). We are delighted to welcome Ireland as the newest member of our organisation” stated ESO’s Director General, Xavier Barcons. “Ireland’s mature and thriving astronomical community will add to the broad variety of expertise in the ESO Member States, strengthening ESO’s position at the forefront of global astronomy. 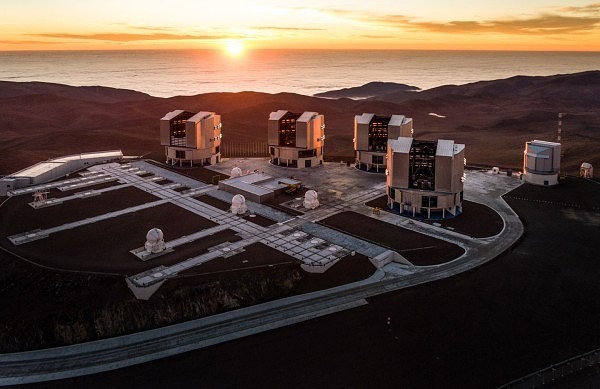 Irish astronomers will gain access to a suite of the world’s most advanced ground-based astronomical telescopes and will have the opportunity to be part of the construction of the next generation of ESO instruments in partnership with other ESO Member States. We are also very much looking forward to working with Irish industrial partners to build and operate ESO’s state-of-the-art telescopes. It was probably the industrial opportunities afforded by ESO membership that persuaded the Irish government to stump up the subscription fee, but this decision is also extremely positive news for the relatively small but vibrant community in Ireland working on observational astronomy which I’m sure will make the most of the chance to do ever more exciting research using these facilities.